Bowen boxing Olympic Youth Games champion Karol Itauma in his successful semi-final bout. Aaron Bowen celebrates after beating Jason Bradley in the quarter-finals. 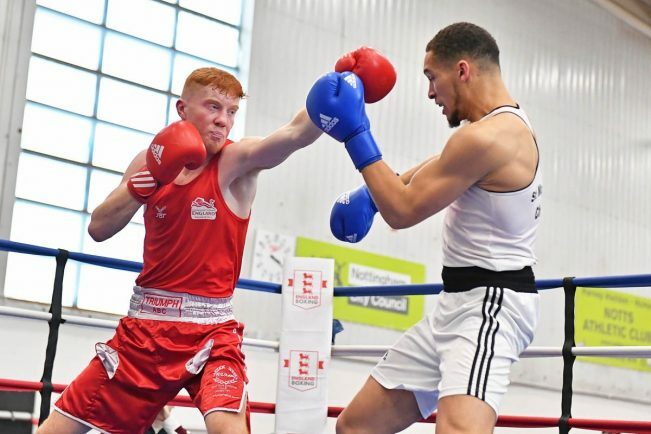 TRIUMPH ABC boxer Aaron Bowen reached his first senior level final on Sunday, after beating Karol Itauma in the National Amateur Championships semi-finals. Bowen, a 2017 Commonwealth Youth Games gold medalist, made his way through four bouts en route to reaching Saturday’s final, where he will meet George Crotty at Manchester Central in the under-81kg showpiece. The 20 year old enjoyed a successful weekend, beating Birmingham boxer Abdul Samed in the opening bout, forcing a stoppage in the third round. He then navigated Troy Jones from Solihull with a unanimous decision, winning in the same manner in the quarter-finals against Jason Bradley of Halstead ABC. His win against Itauma though, an Olympic Youth Games winner last year, was most impressive, winning by a split decision after an enthralling fight. For Bowen, a win against Royal Navy boxer Crotty in the final would be his biggest statement of intent yet. 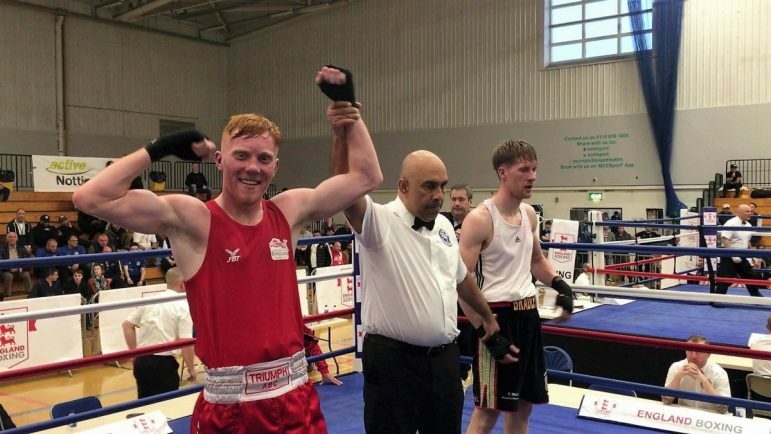 With the promise of a Three Nations call-up, where he would represent England against Wales and Scotland, and a trial for Team GB firmly in his sights, the future is bright for the upcoming Coventry boxer. Bowen spoke of his delight having reached a landmark moment in his early boxing career. “It’s my first senior elite competition and to have reached the final is amazing.